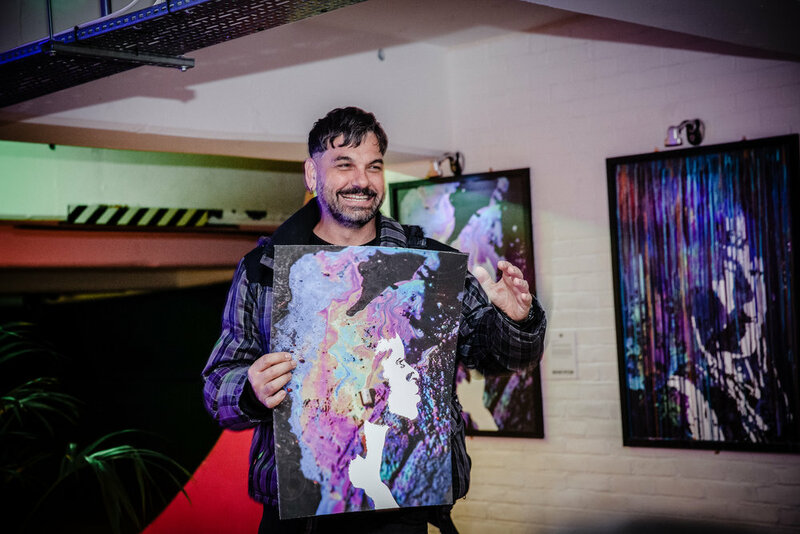 My first solo show combined the release of the Rainbow Warrior 1 Limited Edition prints, showing off some of the hand finished acrylic pieces and bringing the conscious community together. All this happened on the 11th December 2018 at Peckham Levels with people travelling all over London to get there. On sale were Original and Collectors Limited-edition prints. All signed and with an authentication (carbon foot) ‘toe’ stamp on the back. Paul Twiney from GreenPeace treated us to a slide presentation, talking about what they are doing, tips of what we can do, what's happening at Government policy level and how can we speed things along. His message was to write to your MP’s and corporation heads to tell them change is needed to save our world, something we can all do. 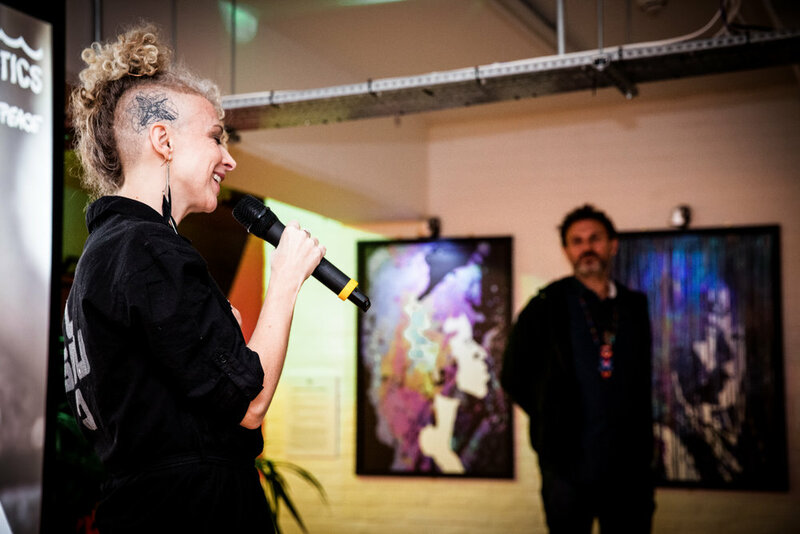 The biggest highlight was of course when I, Soul’D took centre stage and spoke a little about my art and passion for saving our world from plastic pollution. Afterwards the winners were then announced from the Bigger Picture Jigsaw art trail competition. Each were asked to join us on stage where their statements were read aloud, sharing what they were doing to help the environment. 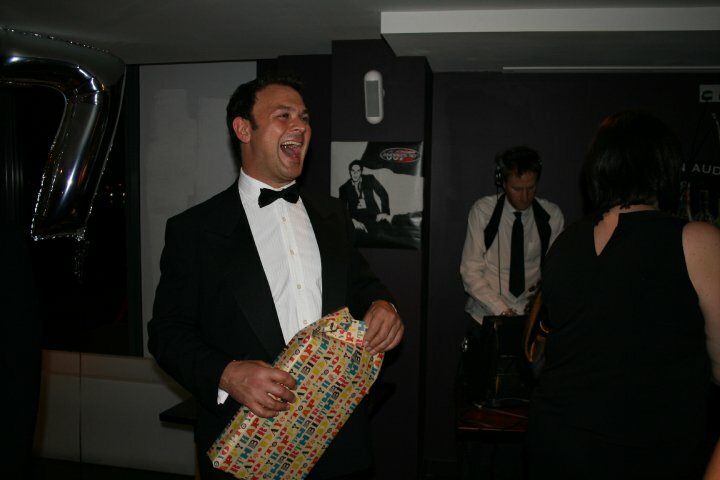 The winners was so pleased with their limited-edition print prize. Once all the formalities were over, I enjoyed chatting to everyone - It was nice to hear them excited about the project, enjoying the work and wanting to hear more about the process and future plans. Overall, it was a great evening speaking to like-minded people and enjoying a night of artistic fun with purpose. After the competition trail came to an end we pasted up the full reveals to replacing the small tiles. The large reveal located at BuildBase, Peckham can be seen from quite a distance. It looks very impressive and is definitely eye-catching. Passers-by congratulated me on 'Bringing some colour to the street' and once they understood the important message behind the artwork, loved it even more. Another large 12 foot reveal at the entrance to Peckham Level. 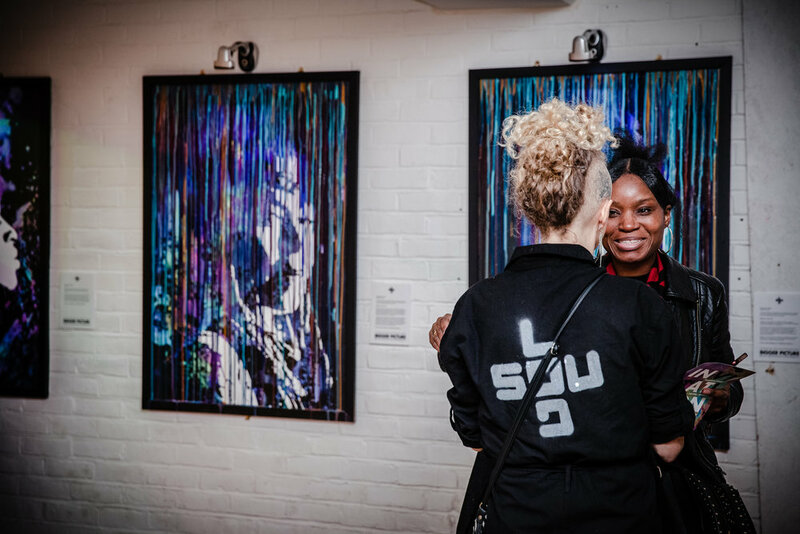 Currently there is an exhibition of Soul'D Rainbow Warriors work on display at the Peckham Levels, on Level 6. We want to thank BuildBase and Peckham Levels for their generosity and support on this project. You made this important project that much easier to achieve, and we are truly grateful. But even this volume couldn’t match the excitement which surrounded the project. 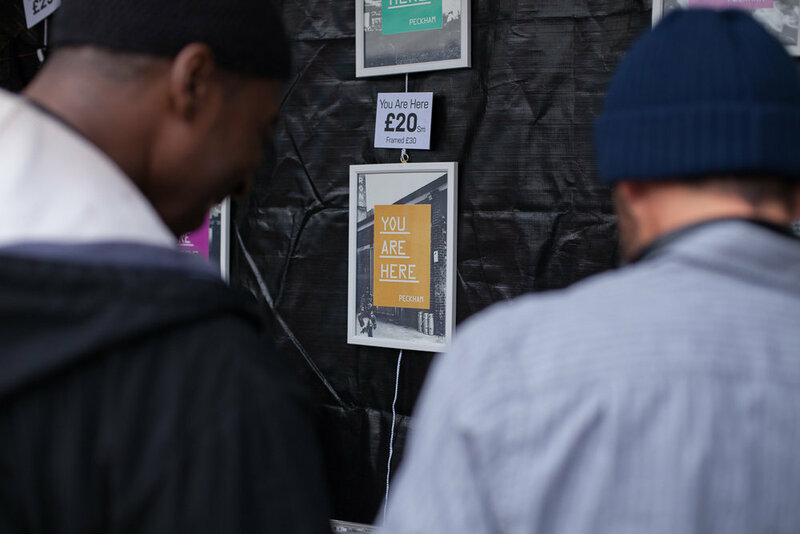 Many locals were aware of the project and enjoyed seeing the artwork placed around. 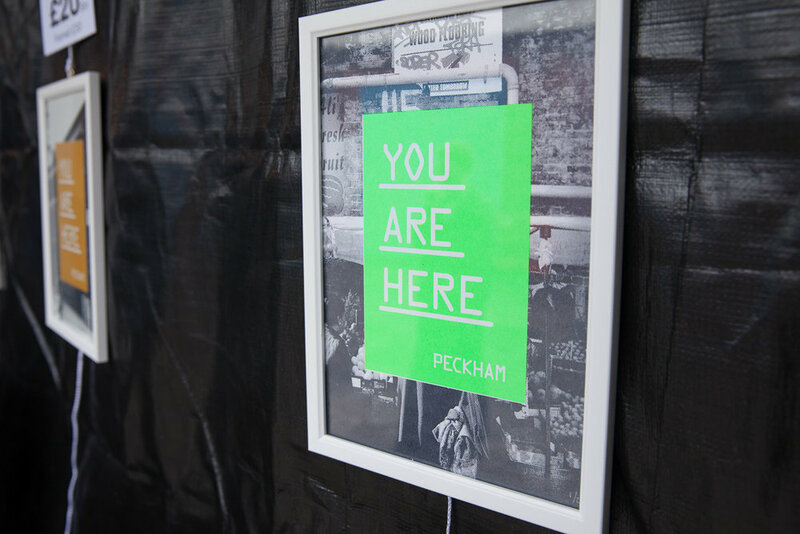 And, as for people visiting Peckham for the 1st time, they expressed their enjoyment at getting to know the area while on this adventure. 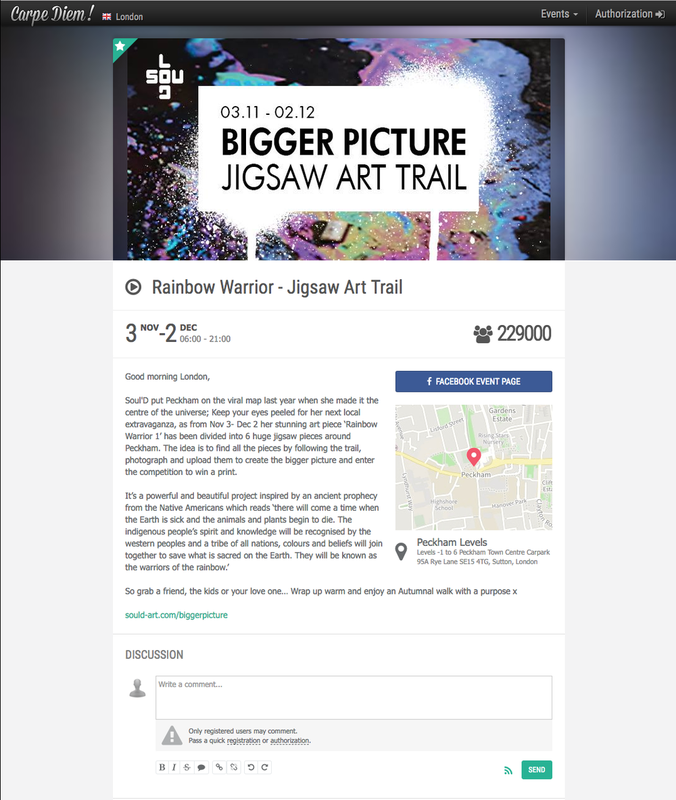 The Bigger Picture Jigsaw Art Trail was a great success. *Note: Publication links may only be active for a time period after the event. 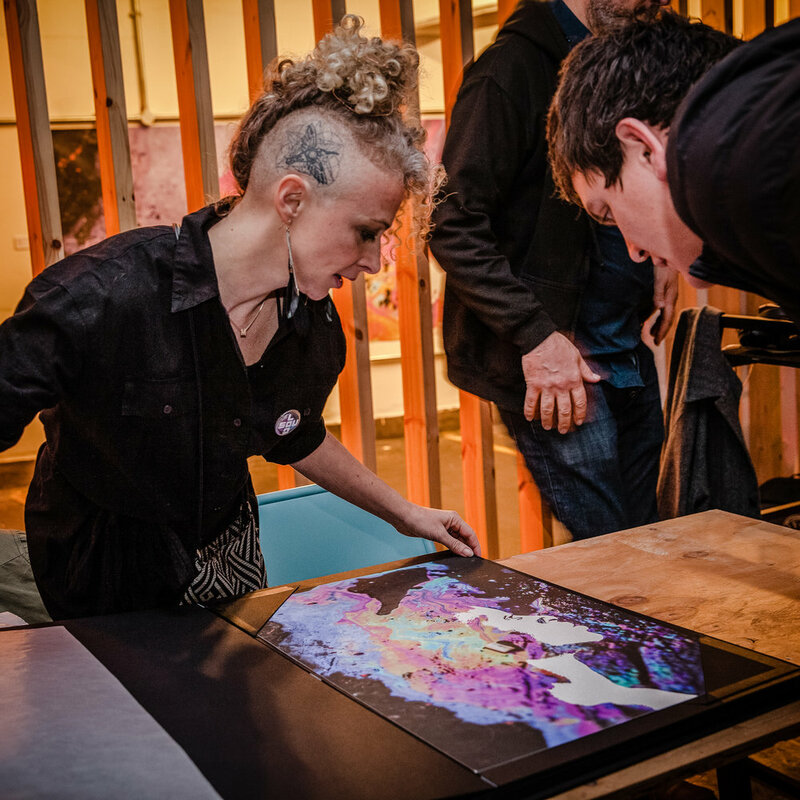 To help with the launch the Rainbow Warrior 1 print, an interactive event was born called ‘Bigger Picture’. 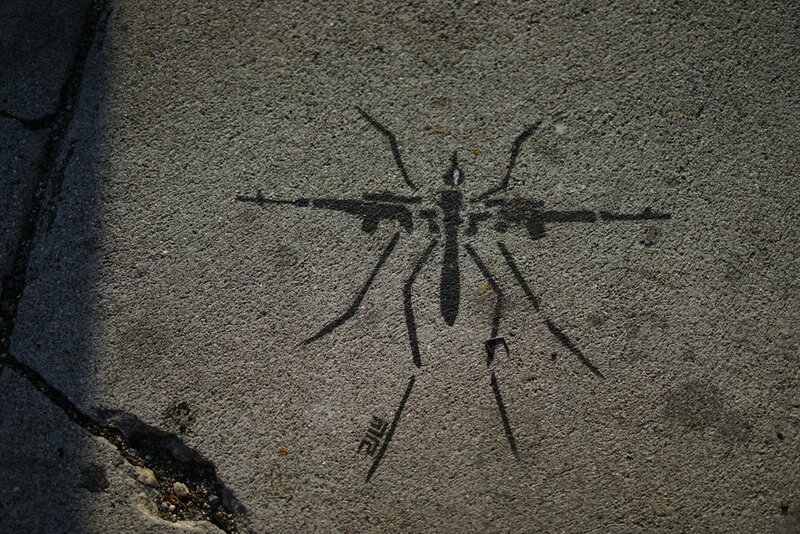 This artwork was dividing it into 6 huge jigsaw pieces and pasted in different locations around Peckham, London. The idea was to following the trail, find all the pieces, photograph and upload them to reveal the bigger picture and enter the competition to win a print. This installation was to bring awareness to environmental issues - specifically zero waste and explain what we can all do to help. Tam Thanh was just another quaint Vietnamese fishing village little less than a year ago, but now it has been transformed into an open space art gallery which celebrates the local culture, people and nature. 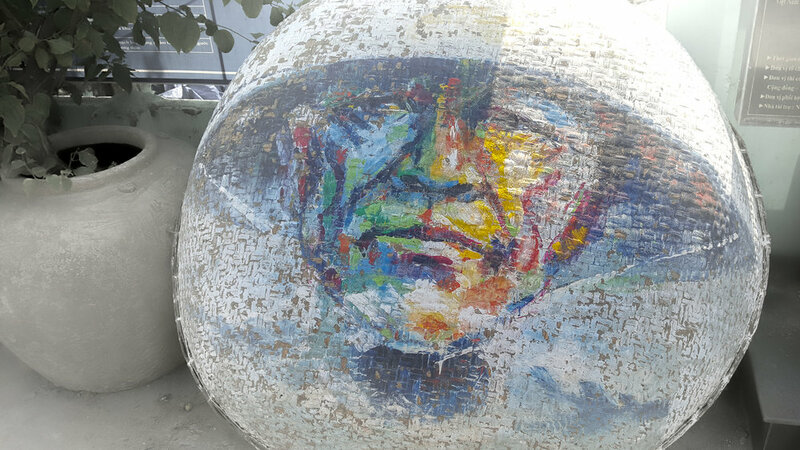 This makeover was a joint initiative by the Korean Community Art Exchange Program and the Vietnamese People’s Committee of Quang Nam Province to bring art to the people. 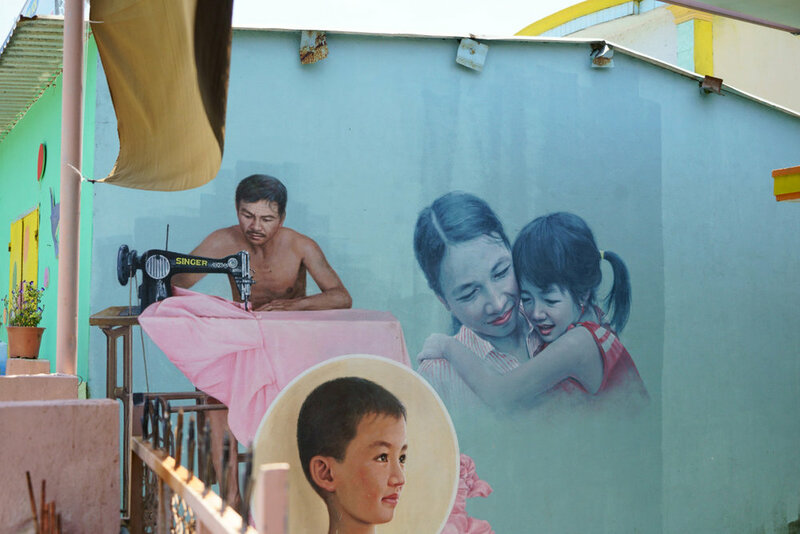 The project took over two weeks to complete, in the summer of 2016 by five Korean artists, seven Vietnamese artists, and a group of local volunteers to complete over 100 murals. Each house had its own story with unique themes and colour palettes, from beautiful Vietnamese girl to funny character from Frozen popping out of an alleyway. We even got to meet a tailor and his family who were the subject of a portrait wall art in his own home. Every time we looked into an alleyway, we came across other colourful murals trailing down the houses toward the beach. It truly was a wonderful experience. In the misty hills of Kampot, Cambodia stood some beautiful yet abandoned French Colonial buildings. 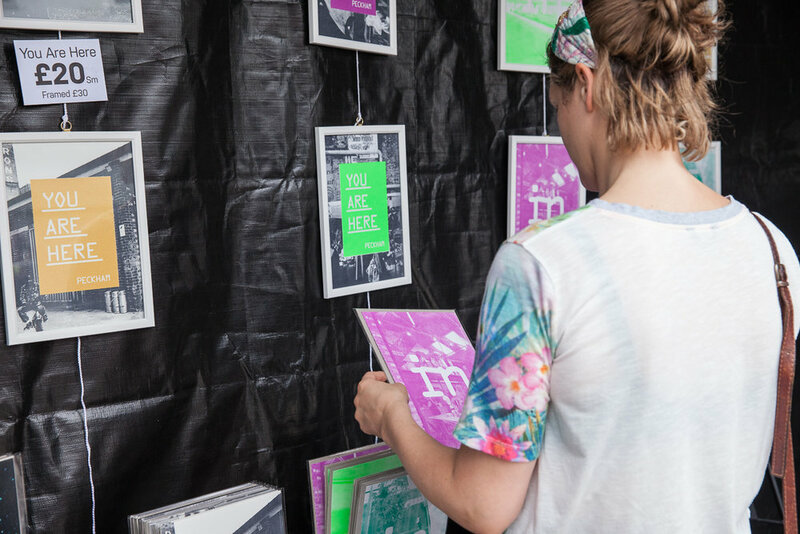 It was the perfect setting to spread some art love. Yes, the Love Bomb was to grace these abandon walls. I sprayed my piece and, as I finished a heavy mist set-in making the place look even more magical… A crazy thought of putting on a long dress and run bare foot through the ruins came to mind. And that is what I did! I enjoyed floating in the misty clouds in my chiffon dress. 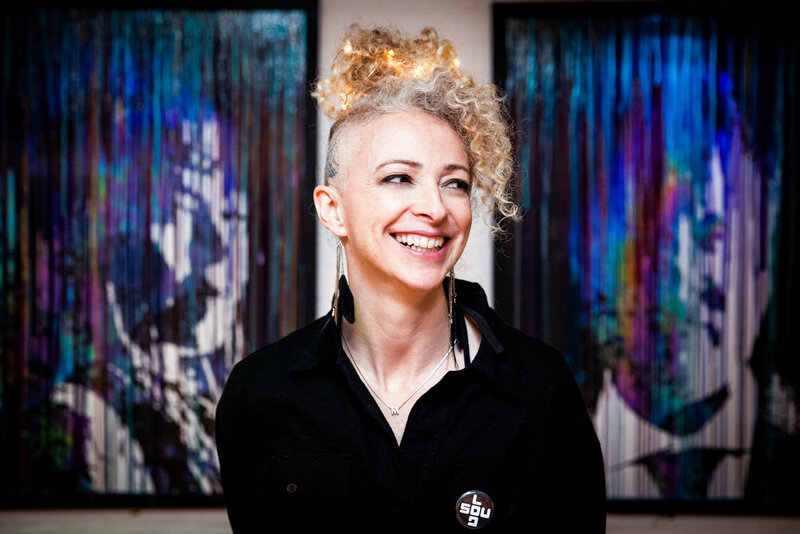 I dance around to my hearts content - celebrating the joy of my new art piece… Love was definitely in the air. After Burning Man and once I had resurfaced from the epic Yosemite National Park, I drove down to City of Angels. 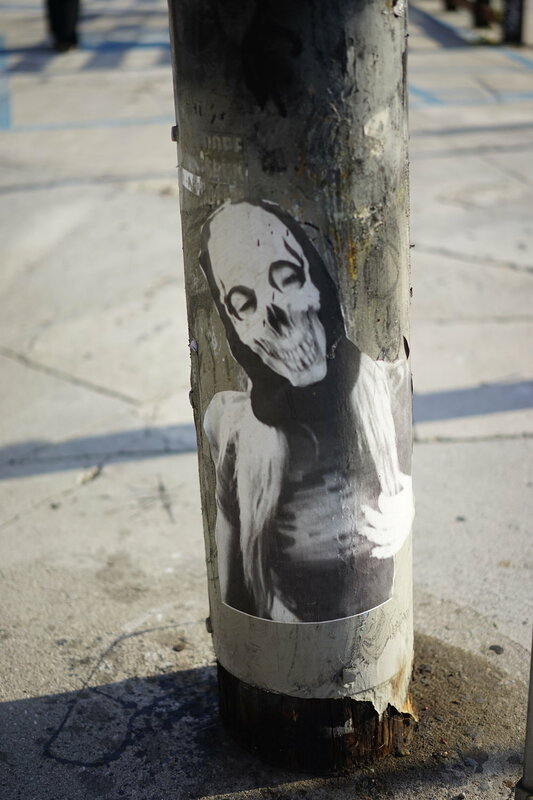 Los Angeles was awash with street art. It filled the streets like an open-air gallery for everyone to enjoy. Gratitude was the buzz word here and I felt it. 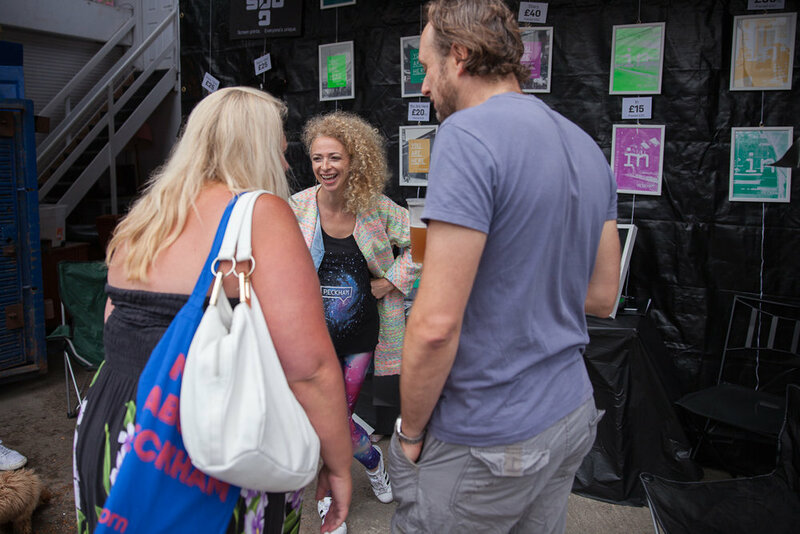 I met many wonderful people here, all open and willing to exhibit my work. I'm excited at what the next few months will bring. My art trip to California started with a crazy bang at Burning Man. So much fun, so much art and so much inspiration. 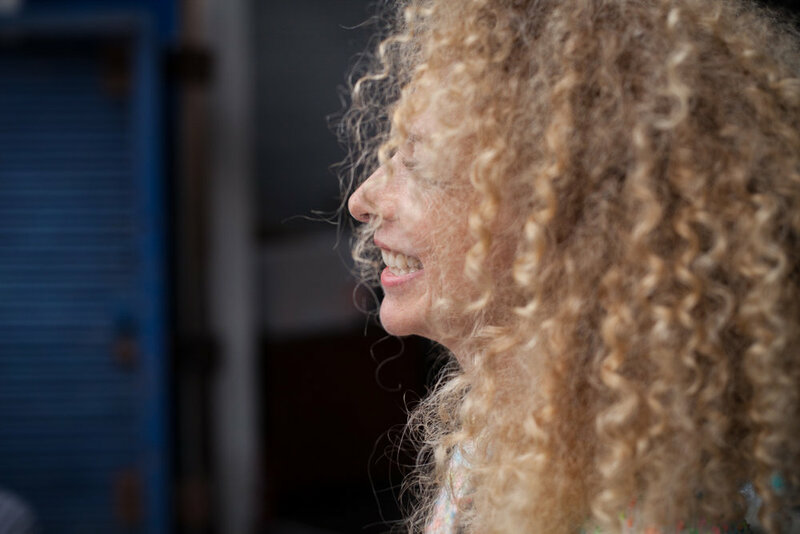 Around us, the sculptures and art cars seem to follow a conscious theme of planetary awareness and kindness - a knock on effect from the constant political and enviromental struggle. It comfortably aligned with my current art series 'The Rainbow Warriors'. If heart and soul are the vehicles for my art, Peckham is the fuel; at least for my current and most recent pieces. I wanted to celebrate how proud I feel to coinhabit this concrete chrysalis for creativity with humans from such diverse backgrounds. The hairdressers, fruit stall owners, workers at the independent coffee shops and bars – I salute you! The In PECKHAM series is gratitude on paper in honour of what you, and many others, bring to this vibrant place that we share. 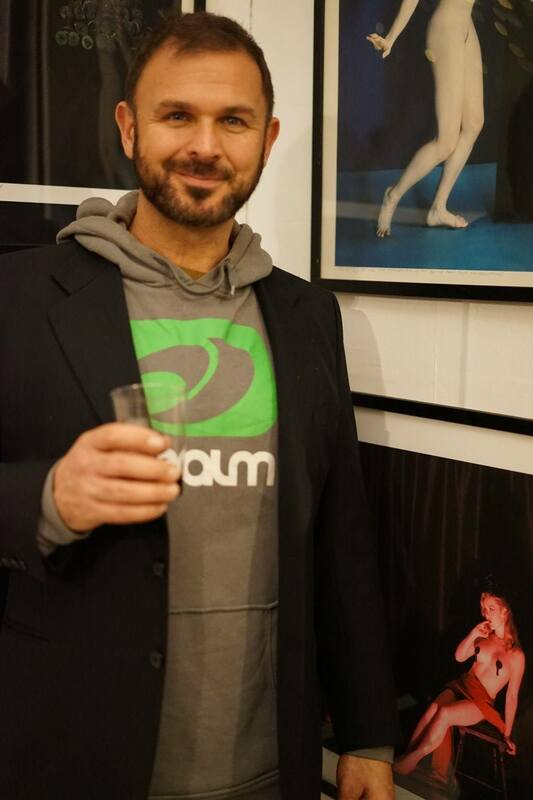 At the night of the opening, we enjoyed vegan food created by the talented Nutkin Cafe and drank sparkles. The work will be on display till the end of May. 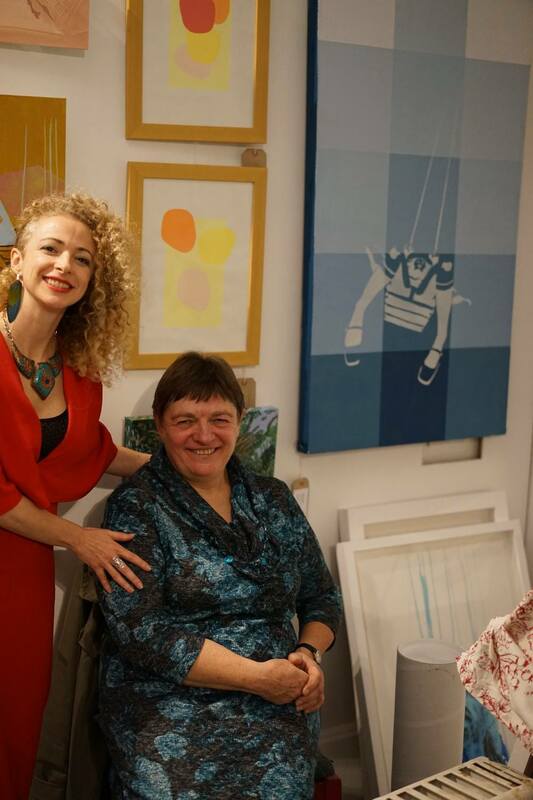 This was a wonderful fundraising night based in East London, Studio 4. 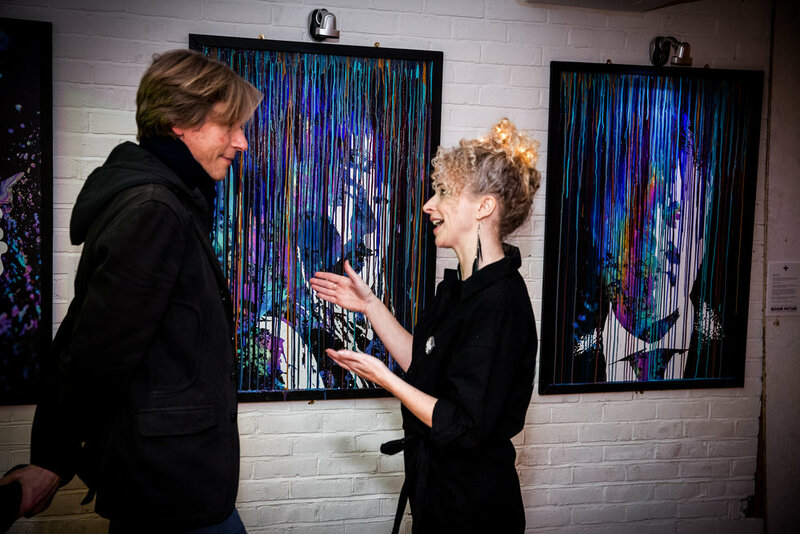 There were over 20 artist, including myself exhibiting and selling work to raise money for Great Ormond Street Hospital and Shelter. I sold my 'Swing Girl' to a very happy lady, called 'Jen' who said it would sit perfectly in her kitchen, as her tiles were the same colour. All together we raised over a £1200, and with mulled wine in hand and nibbles, it was a successful and enjoyable night out. 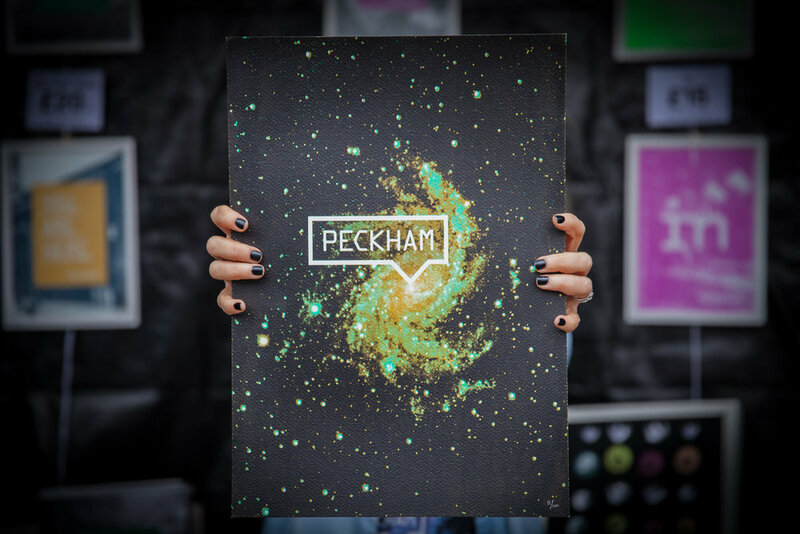 First ever Peckham Festival collaborating artist & retailers are getting together to create something special. 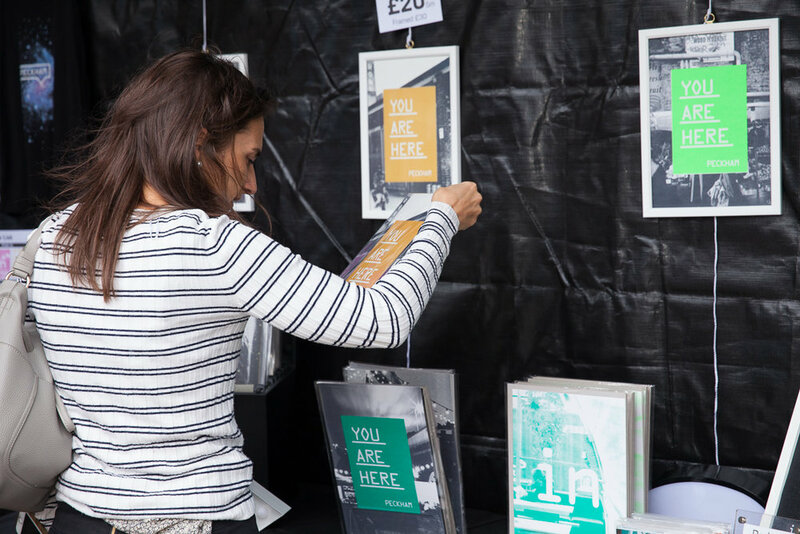 Happening all over Peckham with the heart of the event in Copeland Park, behind the Bussey Building. 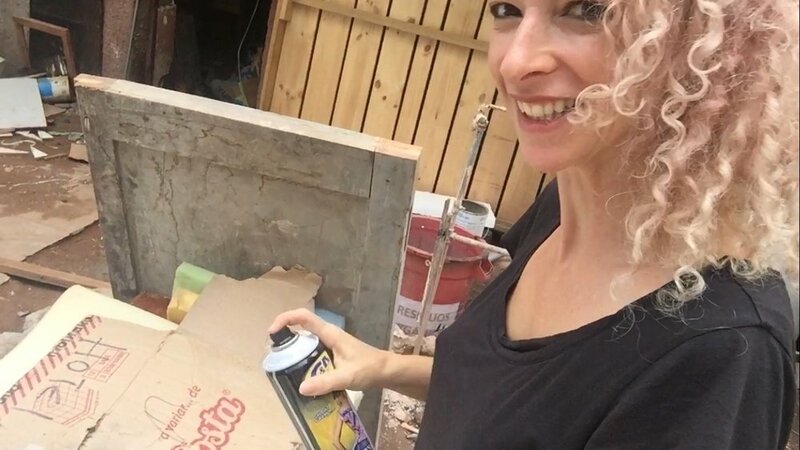 I will be doing graffiti stencil spraying at various times over the festival, where you can personalise your own piece art... Bring a magazine, old jacket or even lamp shade and have it stylised to the Peckham theme. 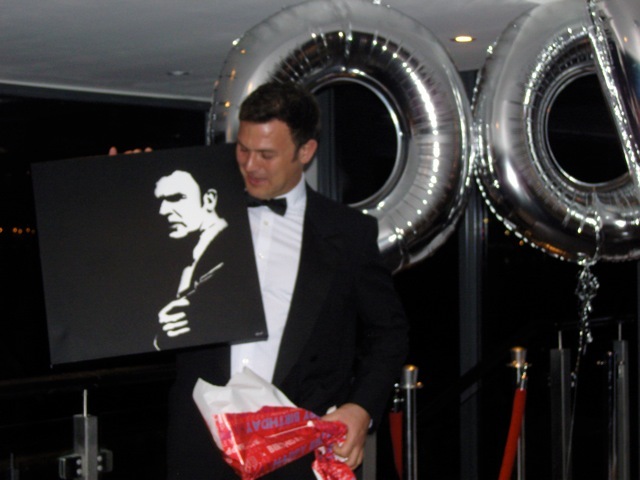 Portrait posters and canvas were created for the host, in a James Bond style. 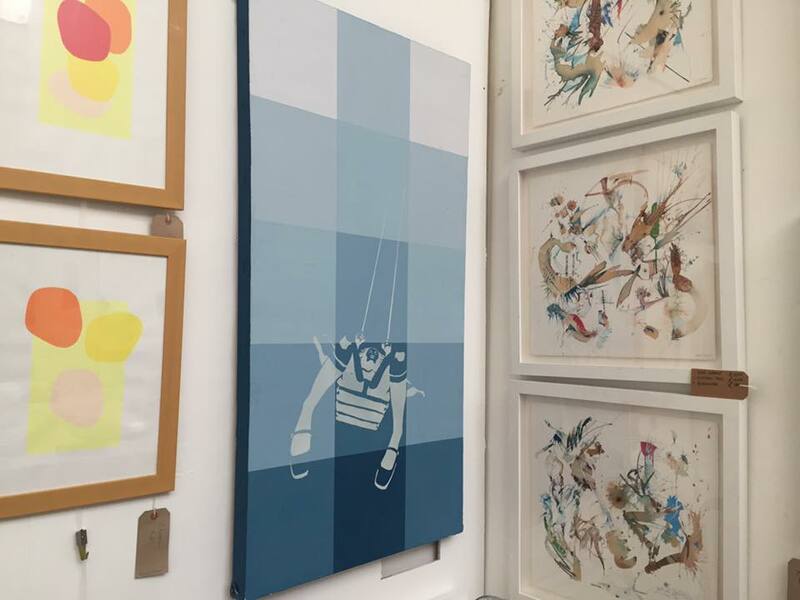 Housed in a massive, 5000 square feet venue in the heart of Bethnal Green, London, BAZAART exhibited a grand collection of new, original artworks, prints and installation from urban, street artists. 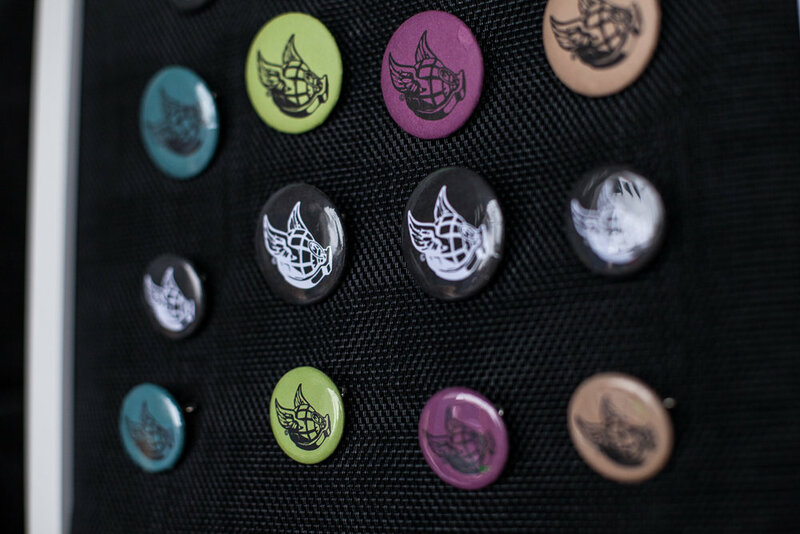 I had the pleasure to be part of this, exhibiting my work alongside artists such as, Pure Evil, Eelus, Rugman, BonBon, Dave the Chimp, Rourke Van Dal, The Krah, Fark FK, Fake, Hutch (BAZAART Expo). Commission for a canvas displaying a stencil of three daughters. The size was 3 metres wide.